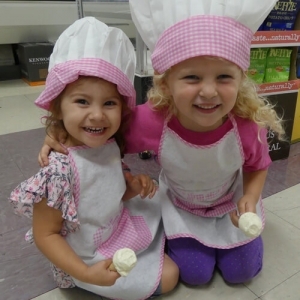 Dave’s Gourmet ice cream is a client that regularly serves up smiles along with their award-winning ice cream. Located in Santa Rosa, the local shop offers a modern twist on the classic treat by making their ice cream with Liquid Nitrogen! The results are a creamier, richer dessert unparalleled to any other. 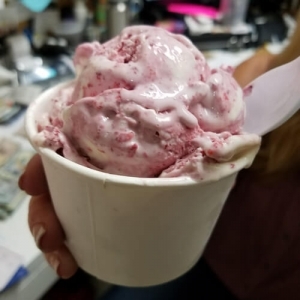 Beyond just the fashion in which the treat is created, owners Dave, Marsha, and Michelle Berry emphasize quality by ensuring that every ice cream is made with primarily organic sources, without ever using gums, thickeners, stabilizers, artificial ingredients, or coloring agents. The delectable scoops are created by using local Strauss cream as a base and enhanced with chocolates, caramels, espressos, and fruits, among other mouth-watering flavors. Michelle runs the ice cream shop along with her parents, Dave and Marsha, who opened Dave’s Neighborhood Market in 1989. The market was originally part of the Berry’s Market chain, operated by Dave, his brother, and his father. While Dave’s brother continues to operate Berry’s Market, Dave and Marsha wanted to create a corner grocery that could locally serve the neighborhood. 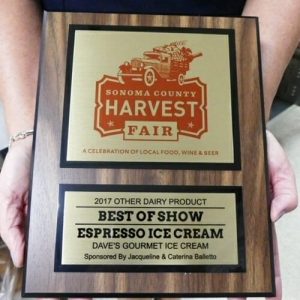 The family market initially gained popularity in Santa Rosa for its incredible service, deli sandwiches, and coffee; however, today, the shop has garnered even further attention for its award-winning ice-cream. In 2012, Michelle was hustling around the store as usual, when a customer named Renee, stopped her to ask if she would be interested in bringing her on to create ice cream for the store. At first hesitant due to her hectic schedule, Michelle resolved to give it a shot. Renee began to come in every weekend to create and serve the unique desert; however, with increased popularity, competitions and Wednesday Night Market in Santa Rosa, Michelle decided to offer Renee a fulltime position to keep up with demand. 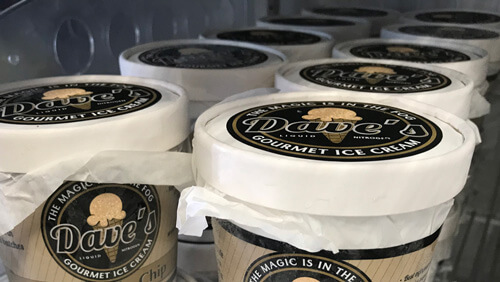 Today Dave’s Gourmet Ice Cream is a collaborative effort with every employee helping create the ice cream and offering input on the phenomenal flavors. Michelle loves to spoil her customers by regularly creating new desserts; each time you visit your taste buds will be tantalized by a new, one of a kind ice-cream, ice-cream sandwich, or bonbon. 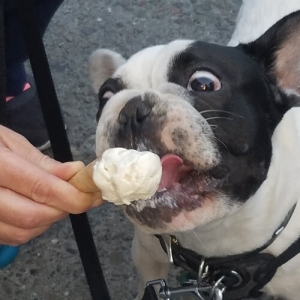 Due to the success of their delicious ice cream, you can now enjoy Dave’s Gourmet at a variety of locations, including their original location at 320 West 3rd street in Santa Rosa, Cafe Noto, on the Windsor Town Green, Berry’s Market, Shelton’s Market in Healdsburg and Pelican Plaza located in Bodega Bay. In the future, the Berry family plans to continue expanding their distribution to include local restaurants. Our whole crew is fortunate to work with the team at Dave’s Gourmet Ice Cream, and we consider ourselves lucky to regularly enjoy their amazing treats. If your sweet tooth is craving something new and unique, head down to Dave’s Neighborhood Market and grab a scoop for yourself!